What's the coolest super power you could possibly have? 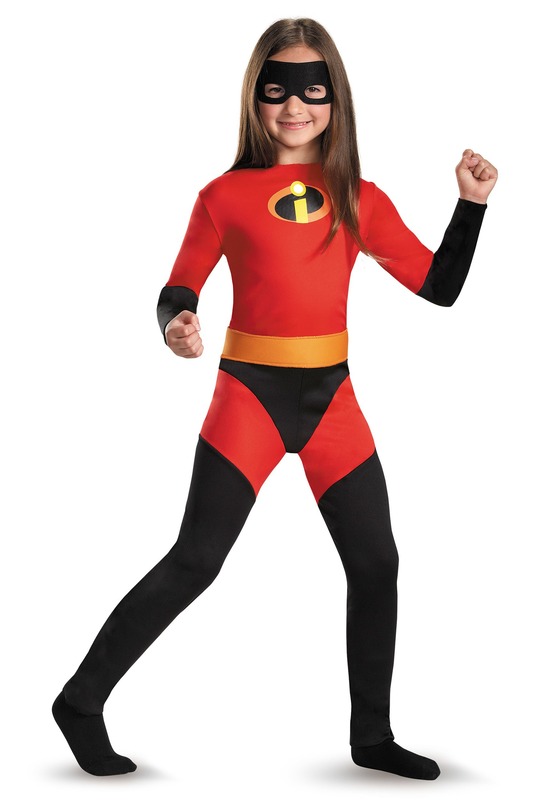 Well, that's a trick question, since you couldn't possibly have any super powers (unless you know something we don't...), but we'd bet if your little super-gal actually could have super powers, she'd want to dress up in this awesome Violet Incredible Costume while she used them! 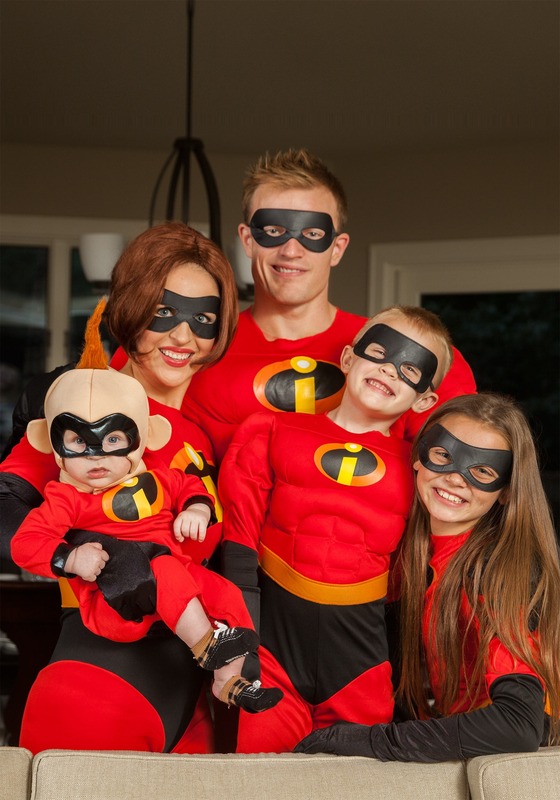 In Disney's smash hit superhero movie The Incredibles, Violet has to balance life as a teenager in high school with having the power to turn invisible and being a member of a superhero family. You don't need super-human intelligence to know that's no easy task! But, whenever Violet's family springs into action to save the world from an evil plot, she is right there with them! Her powers help her sneak around invisibly, but they can also create force fields that let her float around, and even be launched like a cannonball when her younger brother, Dash, runs into her with his super-speed powers! And who says super-siblings can't work together to thwart henchmen from destroying the world?! Violet never goes on a mission without her high tech super-suit, and since this costume is officially licensed, your little girl will have the right gear, too! This synthetic jumpsuit is printed to look just like the suits in the movie, and even includes a matching eye mask. 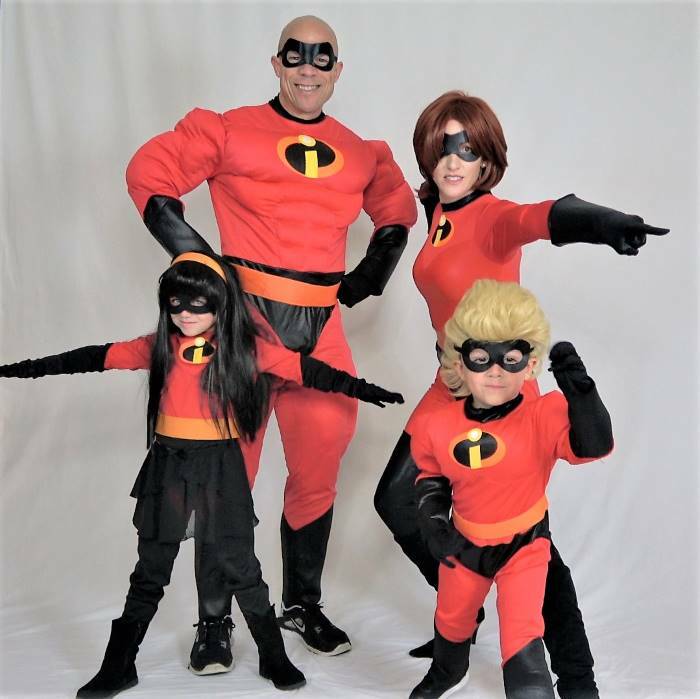 Add a pair of black superhero gloves and boots to complete this look, and have the rest of the family dress up as The Incredibles for a super-family Halloween costume that's way more fun than having real powers! Good costume but it came to me ripped, so I had to sew the whole waistline myself. We are sad to hear that there was a rip! In looking at your order information, it seems that you did not reach out to us for help in resolving this concern. We are very customer friendly and available to attempt to resolve any questions/concerns. Thank you. Overall good buy. Fit well and daughter loved it. Exactly what we expected.